Nhân kỷ niệm 100 năm bản Yêu sách của người dân Annam (tháng 6/1919) – tài liệu được soạn bởi một nhóm người Việt Nam yêu nước, ký tên Nguyễn Ái Quấc và gửi tới Hội nghị Versailles của những nước thắng trận trong Thế chiến Thứ Nhất, họp ở Paris nước Pháp – chúng tôi chân thành đề nghị Ngài giúp cho Yêu sách 2019 đính kèm của chúng tôi được sự chú ý của các thành viên Đại hội đồng Liên Hiệp Quốc. Ngài có thể hỏi vì sao người Việt Nam, sau khi đã giành được độc lập và thống nhất hoàn toàn vào năm 1975, giờ đây lại yêu cầu thế giới biết đến kiến nghị và khát vọng từ 100 năm trước của mình? Một kiến nghị có thể bị lu mờ vì Bản Yêu sách chưa bao giờ có cơ may được đưa đến tay Tổng thống Woodrow Wilson. Câu trả lời là Bản Yêu sách 8 điểm chưa bao giờ được thực thi dưới chế độ Cộng hoà Xã hội Chủ nghĩa Việt Nam với danh nghĩa độc lập và thống nhất, một chế độ tìm cách dập tắt tiếng nói của mọi người bất đồng, nhiều người trong số đó đã bị biến thành tù nhân lương tâm. Vì thế, chúng tôi đề nghị Ngài hướng dẫn và giúp đỡ công bố rộng rãi bản Yêu sách này – tiếng kêu xé lòng của người dân Việt Nam. (Cho đến hôm nay, ngày 1 tháng 1 năm 2019, bản Yêu sách đã được 22 tổ chức và hơn 1600 cá nhân ký tên hưởng ứng). Trong khi trông đợi vào hảo tâm và sự đáp ứng công chính của Ngài, chúng tôi xin Ngài nhận ở đây lòng biết ơn và cảm kích sâu xa, chân thành nhất. On the occasion of the 100th anniversary of the Appeal of the Annamese People (Revendications du Peuple Annamite) of June 1919 – a document that was prepared by a group of Vietnamese patriots, signed under the pseudonym of Nguyễn Ái Quấc and sent to the Versailles Conference being held in Paris, France, by the victorious nations in the aftermath of the First World War – we would earnestly and sincerely beseech your intercession in bringing our Appeal to the attention of the international members of the General Assembly. Your Excellency, you may ask why the Vietnamese, after having gained full independence and unification in 1975. would now ask to fully make known to the world their hundred-year-old plea and aspiration? A plea that may be obscured by the fact that the Appeal never got a chance to be presented to President Woodrow Wilson. The answer is the 8-point Appeal, under the name of independence and unification, has never been carried out under the reign of The Socialist Republic of Vietnam, who seeks to silence the voice of all dissenters many of whom have been relegated to being prisoners of conscience. Therefore, we would like to ask for your guidance and support in publicizing this Appeal – this Vietnamese people’s cri-de-coeur – far and wide. (As of today, January 1, 2019, the Appeal has been signed by 22 organizations and more than 1600 individual supporters). In anticipation of your kindness and just response, please accept here our deepest and most sincere thanks and appreciation. 17. Cù Huy Hà Vũ, Dr. of Jurisprudence, presently exiled in the U.S.
§ The President, the Chairwoman of Congress, the Prime Minister of the Socialist Republic of Vietnam. § All Vietnamese living in Vietnam and abroad. 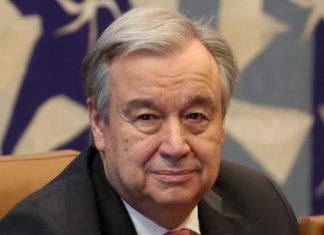 § The Secretary General of the United Nations. § The International Diplomatic Organizations in Vietnam. 100 years ago, a document called Appeal of the Annamese People was prepared by a group of patriots, signed under the pseudonym of Nguyễn Ái Quấc, and subsequently sent to the Versailles Conference being held in Paris, France, by the victorious nations in the aftermath of the First World War. 1. Release all Annamese political prisoners. 2. Initiate extensive legislative reforms throughout Indochina, to accord the indigenous people the same protection as provided to the European; demand the abolishment of all special legal institutions used by the colonial government as instruments to terrorize and oppress the most righteous section of the Annamese population. 3. Freedom of press and freedom of speech. 4. Freedom to form associations and freedom to meet in public. 5. Freedom to live abroad and freedom to travel overseas. 6. Freedom to study any suitable subjects by individuals, government to initiate and establish technical and vocational schools at the province level for all indigenous people who are interested. 7. Laws are passed by a legislative body in lieu of decrees. 8. A group of representatives, elected by the indigenous people, permanently present at the French Parliament to help emphasizing all aspirations of the Annamese people. In the course of the last 100 years, millions of Vietnam’s best sons and daughters have perished for those same basic rights demanded in that 1919 Appeal. The Vietnamese Communist Party, the only political party with total power in Vietnam today, has re-affirmed multiple times that Ho Chi Minh, its foremost leader, is indeed Nguyễn Ái Quấc, the one who signed the 1919 Appeal. But, after 100 years, under the Communist totalitarian regime, the majority of the points mentioned in the 1919 Appeal in reality are not respected, nor carried out, although they were officially incorporated in the Constitution of a country that had been declared independent. They have been solemnly committed in all international treaties, pacts, agreements, pledges that the Vietnamese government has participated in the name of the country and her people, but in reality they have never been carried out to their full extents. In fact, they are overwhelmingly limited, manipulated, even distorted to the point where the end results are opposite. 2. Enact extensive legislative reforms, so as all people are protected by laws; demand the government to abolish all specialized legal institutions used as lnstruments of the Party to terrorize and oppress the most righteous segments of the population, i.e. those who participate in non-violent demonstrations to seek redress to issues such as environmental protection, national sovereignty; those who criticize and rebuke official policies; and those who dissent politically. 4. Pass and seriously implement laws with the purpose to guarantee the Freedom to form associations and the Freedom to assemble in public. 5. Guarantee the Freedom to travel and settle anywhere within the country, Freedom to migrate and return from overseas. 6. Guarantee the Freedom to study any subject of choice by individuals, guarantee the autonomy of universities and colleges, and remove all traces of politicization at every level of educational institution. 7. All statutes passed by Congress or any legislative body must be genuinely faithful to the Constitution which is drafted and approved by the majority of the people. 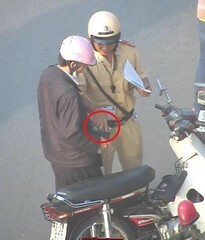 Once passed, all laws must be respected by the authority. Public referendums must be held on any issue that greatly affects the living conditions of the population or the security of the country. Replace the system of directives dictated by the Communist Party with legislations that are based on the-consent-of-the-governed to proceed eventually to the check-and-balance system of three independent branches of government: Legislative, Executive and Judicial. 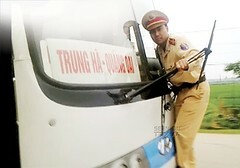 We resolutely believe that the only path to free Vietnam from its economic lagging, political and social corruption, and the imminent threat of losing national sovereignty to foreign powers is one which the Vietnamese leadership must undertake by fully implementing the eight points as outlined in the Appeal. To do that is to lead Vietnam step-by-step in the development toward the goal of prosperity and national strength, to achieve a democratic and civil society, and to guarantee justice for all. 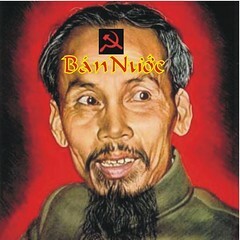 We urge all Vietnamese citizens to exercise his/her constitutional rights and not to wait for approval from any authority, to step up the pressure and demand the government to enact and implement legislations and regulations with the expressed purpose of protecting those constitutional rights, and to prosecute to the full extent of the laws any individual or organization that impedes the citizen from exercising those sacred rights. We solemnly and urgently call upon the United Nations and all nations that have established diplomatic relationship with Vietnam to pay attention to the aspiration and will of the Vietnamese people. With your strong and necessary support, we firmly believe that it will facilitate favorable responses from the government to the demands stipulated in the Appeal.